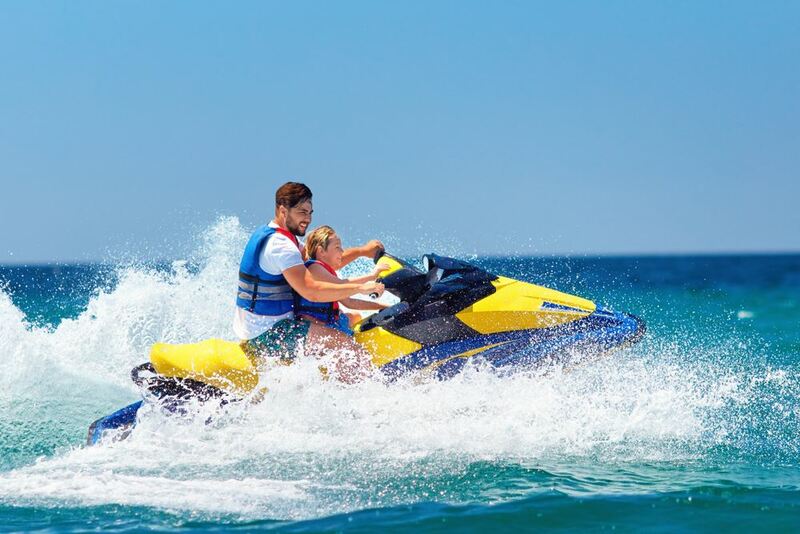 Enjoy the paradisiacal ambience of the sandy beaches in the south of Menorca and savour the feeling of freedom and pure adrenaline by riding a jet ski yourself. The purity of nature, driving fun and intense thrills are guaranteed here. You do not need any previous knowledge of riding a water scooter nor a driving licence. Before the ride an instructor will show you how to handle the vehicle. In addition, the guide will accompany you along the entire journey. Discover the most hidden corners of the island with a jet ski, swim in the crystal clear water and get back on your seat at any time to continue the adventure. You can experience this activity with your friends, family or partner. You have the option between a journey time of 15 minutes up to 2 hours. The rates vary between 50 euros (15 minutes) and 275 euros (2 hours). The CW Group specializes in selling and building luxury properties. Visit our Social Link.